The following views are those of the author and may not reflect those of oprainfall or its staff. 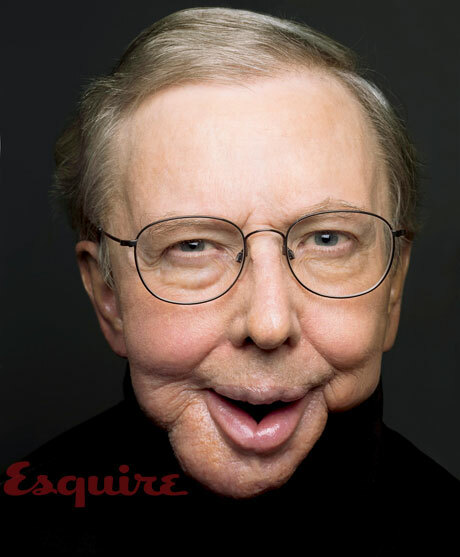 Ebert, as seen on the cover of Esquire. Surgery to rid him of cancer left him without a jaw in his later years. Unlike the idea of searching for gaming’s Citizen Kane, the question of finding the video game equivalent of Roger Ebert is a legitimate one. While Ebert was somewhat notorious in later years for his dismissive attitude toward video games as an artistic medium, he was also a widely known and respected film critic. He was not just someone whom the film fanatic crowd latched onto, but a person who was widely known for his televised opinions that were summarized with an easily digestible thumbs-up or down. In that sense, there really is no one in game journalism who is a match for Ebert. 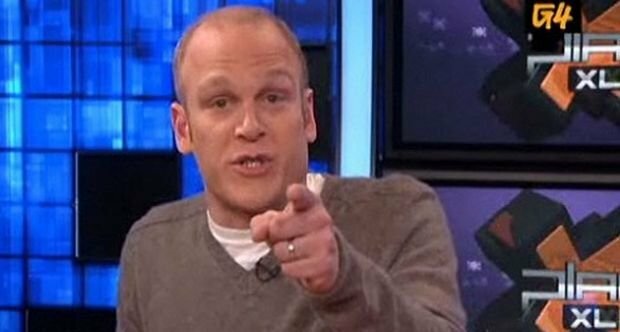 Sure, a few critics, such as Adam Sessler, have been on television regularly, but Sessler’s X-Play wasn’t targeted at audiences in the same way as Ebert’s television program, co-hosted with Gene Siskel and later Richard Roeper. And outside of television, Ebert regularly wrote reviews for the Chicago Sun-Times, reviews that have been compiled and recompiled in published volumes. He’s also notable for being the first film critic to win the Pulitzer Prize, taking home the award for criticism in 1975. In making a direct comparison between Ebert and Sessler, or any other game critic, Ebert’s credentials and reputation are completely unmatched. Adam Sessler has frequently appeared on television to divulge game reviews and opinionated editorials, but his influence is still far below Ebert’s height. So the quick and easy answer to the question of where is gaming’s Ebert is that there isn’t one. And frankly, game journalism has a very long way to go if any critic within its ranks is to have a hope of rising to the same level. Ebert’s career as a film critic spanned decades and was distinguished enough to win him the highest of accolades. Meanwhile, video game critics can’t agree which game is the Citizen Kane of their medium. The academic angle of game criticism, and game journalism in general, is lacking to the point of near non-existence. Popular game journalism is still focused more on measuring quality against a ten-point decimal scale that has become popularly skewed to the point that anything below a seven is suddenly unplayable garbage. Further, game journalists have, in recent years, begun to use their positions as springboards into development positions. And while there’s nothing wrong with that, where is the motivation to grow the field of game criticism if its best continue jumping ship for the other side of the lake? 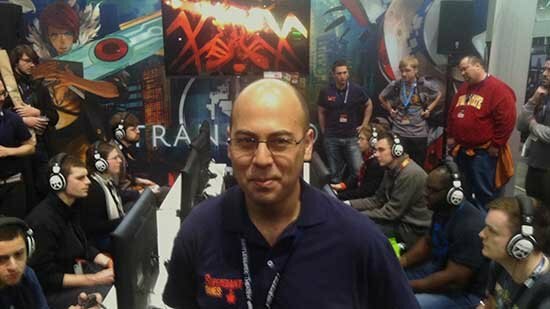 Greg Kasavin climbed the ranks at GameSpot, eventually becoming Editor-in-Chief before leaving to embark on a career in game development. These days, some colleges are starting to offer courses on the study of video game history and critical theory, but it’s a topic that is still in its infancy. It will be years before the subject gains enough formal recognition and academic standing to award majors in Video Game Studies. And if gaming’s Roger Ebert is to rise, it likely won’t be until after such programs become more accepted. As for the game critics of today, both professional and amateur, the vast majority of the critical output produced is lacking. Visit any website that publishes game reviews, and it’s likely that the reviews themselves will read less like critical analyses and more like buyers’ guides in which the bulk of the text is more or less an opinionated description of the game’s controls and light descriptions of the story and characters. They’re also frequently coupled with scores that exist on a ten-point decimal scale in which, as I noted in my quote above, anything below a seven is considered trash, and anything between a seven and eight is barely worthwhile. And tenths of a decimal point can incite more star-blazing fury among readers than the actual text. In short, most reviews today aren’t truly critical. They’re opinionated instruction manuals. Some reviewers do a better job than others, and by and large, the professional reviews of today are better than they were ten or fifteen years ago. But reviews still routinely fall short on the analytical level. Are the controls good or bad? Do the graphics look old? Is the story dumb? These are the questions that reviews generally strive to answer. Anything further is an act of generosity. What reviews typically don’t strive to answer are the questions that require considerate, critical thought—for instance, how games succeed or fail on the themes of their narratives or how effectively music is used rather than merely establishing a soundtrack’s quality with brief superlatives. To truly delve into a critical analysis of a game requires more than simply following the general template of gameplay/story/graphics/sound and checking off each as good or bad. The insight needs to be deeper. Granted, a deep, thoughtful analysis isn’t necessarily something that can be performed at the same level with every game. The simpler the game, the less there is to analyze. But that doesn’t mean that critics can’t do a better, more thorough job of analyzing what’s present. It doesn’t have to extend to the realm of examining the existential angst and ennui of the square block in Tetris, but making the effort to delve into greater examination where appropriate can go a long way toward improving the quality of reviews. 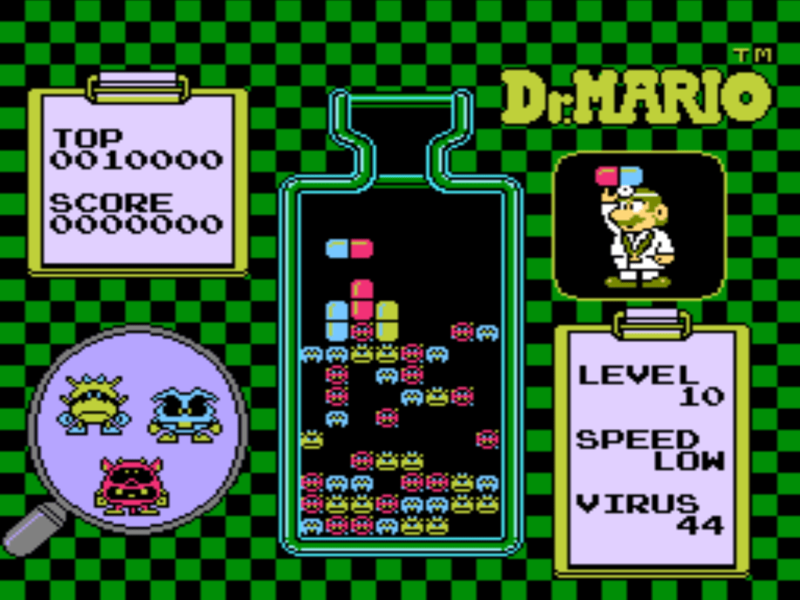 Though the study of the viruses’ slow march into the endless, pill-induced darkness of oblivion would make a fascinating dissertation. But the most important aspect of Ebert and his reviews was his accessibility. He didn’t write exclusively for the film buff crowd. He wrote reviews that were meant to be consumed by the average newspaper reader or television viewer. Even today, the majority of the respected game critics on the Internet are writing for sites targeted at video game enthusiasts. And just as I can’t log on to most enthusiast press sites and find reviews that break the glorified manual mold, I can’t open the pages of the local paper and expect to read quality game reviews that even begin to approach Ebert’s level of film criticism. The point is it’s perfectly possible to be intelligent, informative, and accessible. Ebert was all three. He provided insightful analysis of the films he reviewed, wrote well with an entertaining flair, and wrote with an accessible, intelligent style that didn’t treat his readers like imbeciles. He never put on the guise of being the Angry Film Nerd and never required such theatrics. 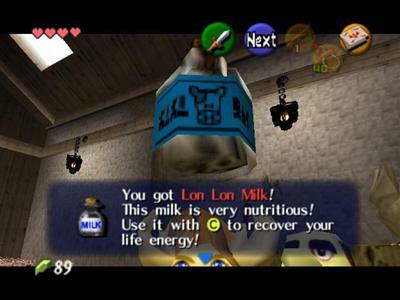 Lactose-Intolerant Gamer gives this editorial one angry Lon Lon Milk vomit out of five. Cut away the hyperbolic YouTube superstars and the instruction-manual reviewers, and you’re left with a small subset of writers who put an extra level of effort into analysis. But they’re still a small subset, and if game criticism is to ever have its Roger Ebert, that subset needs to be allowed to grow. Review outlets need to let go of enforcing aging review practices and encourage more thoughtful critique. Scores, for what they matter in this, need to be given more concise meaning so that they better match that analysis, even if that requires abandoning the media-standard ten-point decimal system. And I say all of this knowing that I myself can do much better as a reviewer. What few game reviews I’ve written for oprainfall generally fall into the same pitfalls that I’m railing against. So I speak not from a stance of hypocrisy, but from a desire to see others do far better than I am, even as I work to improve myself. In a roundabout way, this brings me to my last point: longevity. Ebert didn’t become the critic he was overnight. He studied film tirelessly. He lived and breathed the medium. And most importantly, he never stopped writing. And for a video game reviewer of equivalent standing to appear, that reviewer must do the same. Video game reviews will never improve if the better reviewers jump ship for pastures that may or may not be greener. That’s not a condemnation, but a simple fact. If the cream of the reviewer crop is constantly harvested to work in game development or stops writing for whatever other reason, the loss of that practice and experience can affect both the community of reviewers and those who read reviews. In truth, the Roger Ebert of video games will likely not arrive at any point in the near term. It will be years, possibly a decade or more, before video game reviews are able to rise to that higher standard. But the more reviewers and editors focus on improving their work, the better these standards will be down the road. The effort just needs to be made to get there.